Credit lines grow as you grow, and follow-on rounds are accessible within days. Customized financing solutions for technology companies. ​Teck's financing solution provides rapid access to valuable working capital for technology businesses by leveraging fixed-term service contracts. With over 20 years of experience, Teck Capital can facilitate dynamic debt solutions including software services, tax credit advances, IoT hard goods, and other operating lines specific to your business needs. Technology business leaders are leveraging the benefits of revenue based financing solutions to accelerate growth. Our clients have successfully applied newly available capital towards their acquisition formula to over achieve projected growth rates. 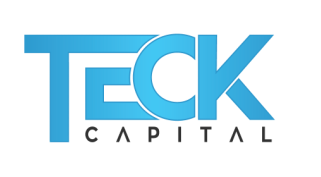 Leveraging our extensive knowledge of technology companies, Teck Capital can be a valuable consulting asset. Throughout the life of a financing, our team can work with its portfolio clients on many strategic levels. We only engage with companies when required and requested. With over 13,000 funded companies, our team has a deep background in technology, distribution, channel management, global execution strategies, and finance. Our team, community, and platform are here to help you grow. ​Stay connected. Join our community today. We will not distribute your information to any third parties.